Factory Hard Top Switch and Wiring package for the 2003-2006 TJ Wranglers, includes wiring harness and switches to operate dome light, defroster, wiper and washer. SWB and LWB. I was able to find and get to all of the points of installation but some of the wiring that was supposed to plug in to existing sockets would not accept the connectors. The connectors insert in only one position and no directions were given as to how to turn them to plug them in. ProsMost of the installation went smoothly. ConsItems pictured in the instructions numbered 21, 22, 24, and 25 were very difficult. Directions did not show how to put the wire connections into the existing plugs. All good across the board. Just as described, delivered on time, works just fine. The kit is just as described. It was delivered in a timely manner. Once the hard top was installed, it was plug and play. Everything works as it should, the washer, wiper and defroster. The installation was a bit difficult but that has nothing to do with the product or service. ProsAll of the hardtop accessories work. This product is just as described. All of the parts fit well and all of the accessories on the hardtop work properly. The installation instructions could be more descriptive with identifying the various connectors under the dash that are involved in the installation but overall I'am very satisfied with the product. 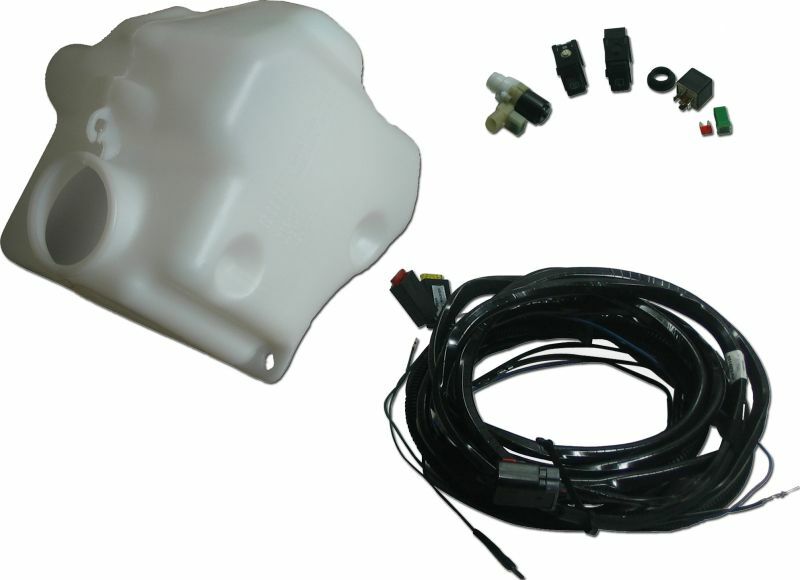 ProsThe hard top accessories would not function without this wiring harness. This is a more advanced upgrade than it would appear. The harness is well done and most of the process is straightforward but when you get to the pins on the connectors in and under the dash it gets a bit tricky (and uncomfortable). Really need to take your time and have patience for this and if you do it really is worth it even though I never really expect to use the rear wiper/washer or defrost, it is nice to know that if you purchased a used hardtop that it now belongs there.